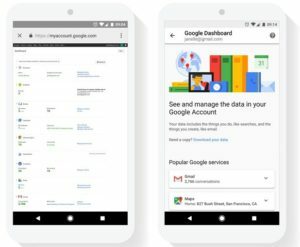 Google Dashboard, One Place Where A Google Account User Can Control Or Manage Different Different Types Of Google Products And Services, Yesterday Google Announced To Revamp Google Dashboard With A New Design That Improves Usability And Privacy Controls. In 2009, Google Launched Google Dashboard Which Provides Quick Actions And Information For Google Products And Services Used By Google Users. 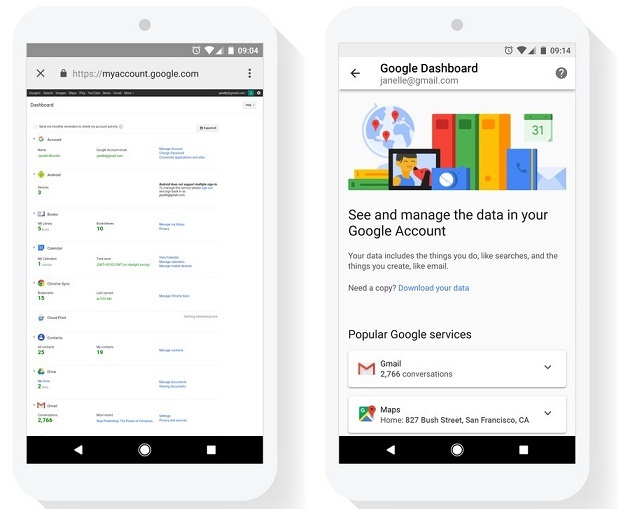 Google Mentioned In Its Blog Post That New Google Dashboard Will Improves Usability Which Means Google Dashboard Will Works Well On Any Device, Previously When You Visit Google Dashboard With A Mobile Browser The Dashboard Looks Cluttered. With New Update, Dashboard Will Be Organised In Such A Manner That Everything Can Be Managed Easily. Now Can Be Accessible Through Google Dashboard Also, So, You Don’t Need To Go To Take Out Page, You Can Also Move Your Data To Other Cloud Storage Like One Drive Or Dropbox With Take Out Tool.